You can now download the latest Super Mario Run game version 2.0 on your smart Android and iOS devices for free. Before now, this game Super Mario Run was officially available for iOS devices but now, Android users can now download and install the game through Google playStore. Super Mario Run mobile game, was developed and created by a group called Nintendo. And the game happens to be the second game they came up with for those that loves playing games. Although, it is their second game but also the first Miitomo game. This game was first announced during the time iPhone 7 was launched. And the game was first tested and made available for iOS phones, thereby keeping Android Users waiting for their own launched date. Although, they said as at that time, that Android version of the game would be coming out soon without leaving a specific date or time when that will be. So with the thought that the game might stay too long after Nintendo posted on their twitter handle about the coming of the game on apk. Just day before yesterday, surprisingly the game was made available for Andriod Users. And I was so happy because av been hungering to play the game on my Android Smartphone for long now. The company did well to release Super Mario Run earlier than expected. Super Mario Run game came with nice improved features for Android users, just like the iOS version of the game. Talking about the pricing of Super Mario Run, it is absolutely free of charge for those that intend downloading it. But in order to unlock the full and additional levels of the game, then you are required to pay $9.99, which is a one time payments. >>Directly Download Super Mario Run Game For your Android devices by clicking Here. >> Download Super Mario Run game For iOS Devices Here. Football Manager Mobile 2017 - FMM17 For Android APK+MOD+OBB. Download And Install Dream League Soccer 2017 APK With OBB Data. Download The Latest Assassins Creed Identity Game v2.7.0 Apk + OBB Data For All Android Device. Currently, there is a free content made available for the game fans who are yet to buy the game. And it works in a form of browser challenge. 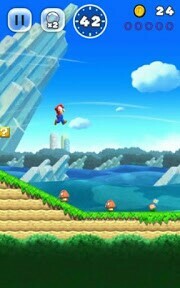 When the player or the controller of the game completes the Super mario run browser challenge, he/she will be elevated, as 1 to 4 courses will be unlocked. So in other words, clearing those courses gives you the chance of playing more courses in the Road Rally, new Toad colors, and new shop buildings. The game is quiet interesting and gives you all the pleasure that one can need in a game. 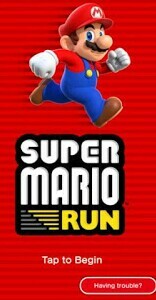 Ensure to download, install and play this Super Mario Run game on your Android, iphones, iPad etc devices. Got any experience, contribution or question while installing or playing the game, just let us know via the comment box.